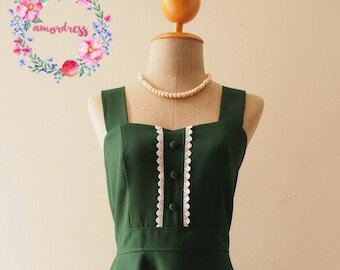 Alita dress in forest green. A sweet feminine look party dress which featured ruffle at sleeve, V shape neck bust line with flare swing skirt shape. This is lovely one for formal work teaming with a high heel or wear to a perfect summer day out to town. This is for all, grab one and you will in love with this dress.